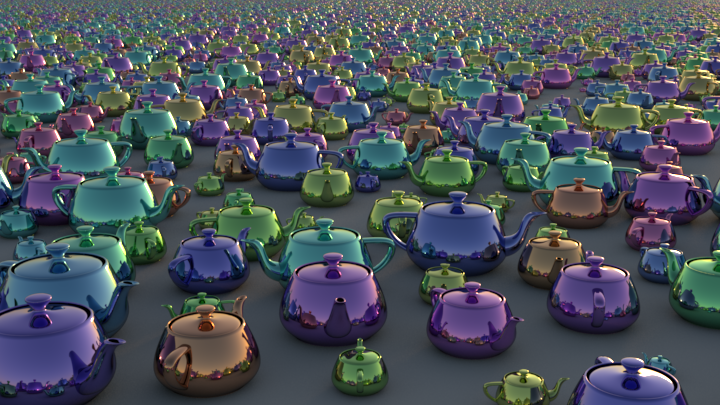 RenderMan procedural primitives (procprims, for short) are user-provided subroutines that can be called upon to generate geometry (or issue other Ri requests) during the process of rendering. The advantage of procprims over concrete (RIB-based) primitives is that they can represent complex geometry very efficiently. Procprims can produce incredible geometric complexity from a small number of inputs, and we can delay handling it until the renderer is ready. This may make it possible to render much more complex scenes than would be possible with a non-procedural representation. Procprims can also be thought of as units of memory management. The renderer can elect to unload all concrete geometry associated with a procprim knowing that the geometry can be regenerated should there be further need for it. The most typical usage is via a Delayed Read Archive or a Procedural Primitive DSO.